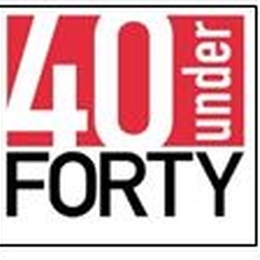 Three deserving Sinclair employees have been named by The Dayton Business Journal as up and coming leaders of the region in the 17th Annual 40 Under 40 program. Dr. Andrew Shepherd is the program director for UAS in Workforce Development. He began attending Sinclair at 15 and earned his Associate's degree Aviation Technology in 2004. While working full-time he continued to pursue his education, ultimately attaining his Ph.D. in 2012. Passionate about education and aviation, he is an active volunteer for the Civil Air Patrol and the Dayton Regional STEM Center as well as special events such as TechFest and the Dayton Air Show. Michael Fiszlewicz is the manager of server-based computing in IT Services. Mike began at Sinclair in 1996 as student intern/employee and continued his work with the IT Services division while pursuing his Bachelor's and then MBA at Wright State University. He has served as a chairperson of the college's United Way campaign and has been a team captain for many years. He also volunteers at several organizations throughout the community. Manicka Thomas is the coordinator for the Seniors to Sophomores program in School and Community Partnerships. She has a Master's degree in Social Work from the Ohio State University and is an adjunct faculty member for the Social Work department. She is also an entrepreneur, founding Thomas Community Consulting in 2011 to assist businesses and non-profit organizations with solutions to fulfill their missions. They will be honored at an awards dinner to be held May 22 at the Schuster Center. Congratulations!